In preparation to the 2009 season, Toby and Kenny completed an audacious project (lucky fools!) to remove shocks and sent back to JRZ for service and replaced shock mount monoballs that were worn out. 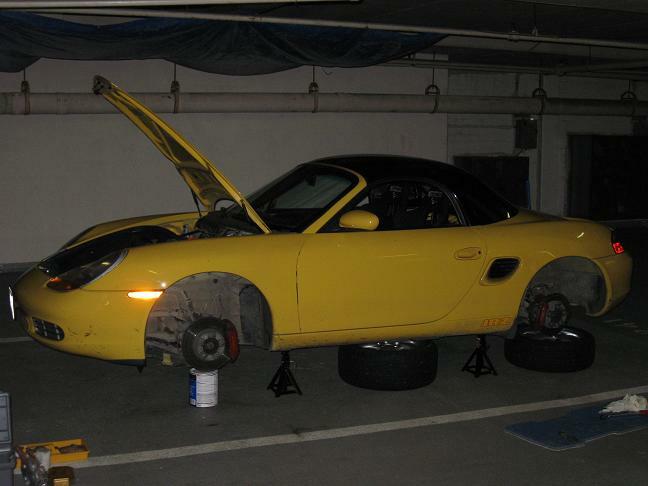 Molly was on jack stands in Toby’s garage spot and his neighbors and the building’s watchmen were amused by the sight. Without Kenny as “pit crew” Toby had to adjust to new processes to service the car between run sessions. There were quite a few hilarious moments where Toby was all strapped in only to find out the car was out of gas or had a dead battery. 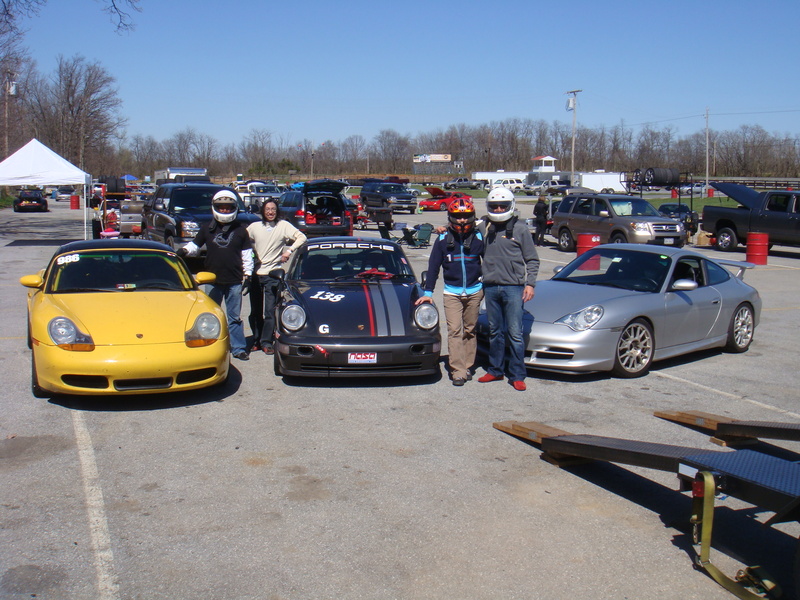 Toby and Molly made it on track 22 days, and added Road Atlanta and Thunderbolt to the track they visited. 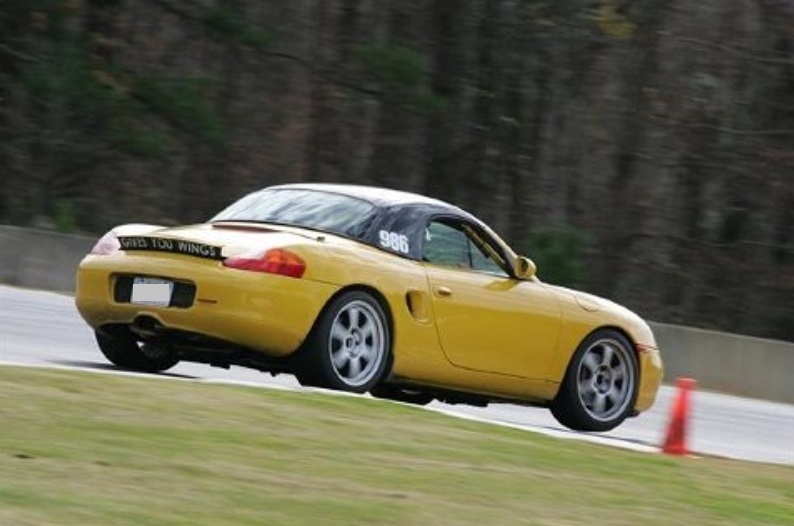 Unfortunately Thunderbolt was mostly a washout, but Toby had much better luck at Road Atlanta over Thanksgiving. It was a long tow so Toby was hoping for good weather, and his prayers were answered! 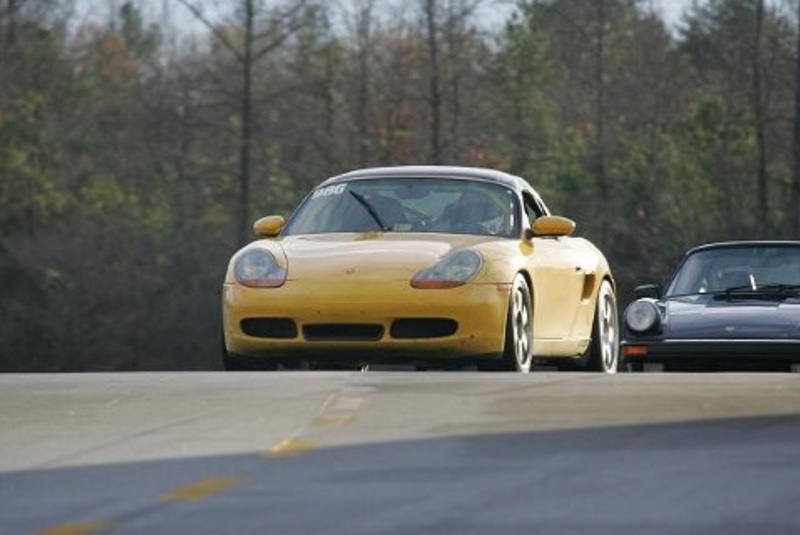 Road Atlanta was home of the annual “Petit LeMans” race and featured the legendary and fearsome “Turn 12” down a steep hill, and the rolling “Esses” complex. What an amazing track! Mary joined Toby on the trip and even rode with Toby for a few laps at full speed.